Enter the Dragon is a 1973 Hong Kong martial arts action film directed by Robert Clouse; starring Bruce Lee, John Saxon and Jim Kelly. This was Bruce Lee's final film appearance (footage was shot and used in what became Game of Death) before his death on 20 July 1973, at the age of 32. The film was first released on 26 July 1973 in Hong Kong, six days after Lee's death. He was also one of the film's writers. 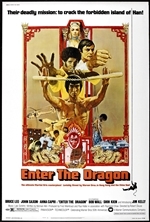 Often considered one of the greatest martial arts films of all time, in 2004, Enter the Dragon was deemed "culturally, historically, and aesthetically significant" in the United States and selected for preservation in the National Film Registry of the Library of Congress. 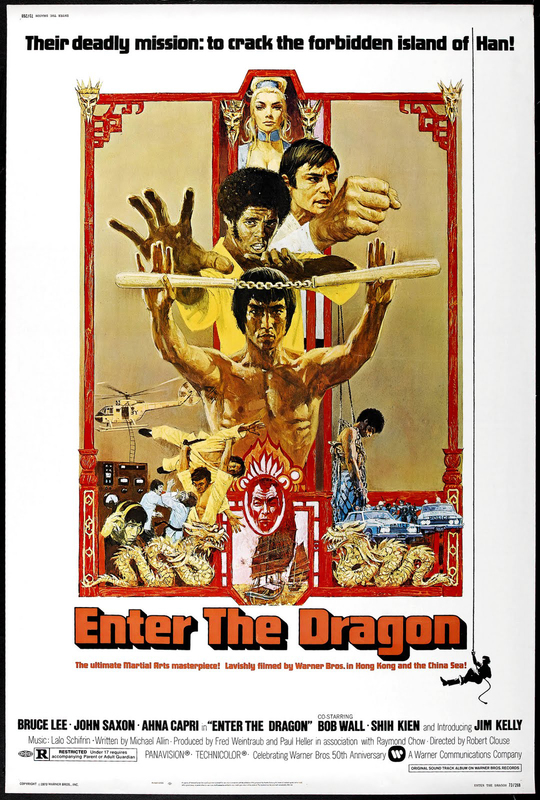 Enter the Dragon was the first Chinese martial arts film to have been produced by a major Hollywood studio, Warner Bros., and was produced in association with Lee's Concord Production Inc. The film is largely set in Hong Kong. Among the stuntmen for the film were members of the Seven Little Fortunes, including Jackie Chan, Sammo Hung and Yuen Biao. This was arguably instrumental in the trio's further association with Golden Harvest studios, which later launched their careers. The portly Hung is shown fighting Lee in the opening sequence of the movie and Chan shows up as a henchman when Lee is discovered inside Han's underground lair. The finished version of the film was not significantly different from the original screenplay. Bruce Lee did not revise the script. Bruce Lee directed the film's opening Shaolin Monastery fight sequence. Lee wanted to use the film as a vehicle for expressing what he saw as the beauty of his Chinese culture, rather than it being just another action film. The original script contained most of the dialogue in the movie. Bolo Yeung went on to make several martial arts films, most notably the Jean-Claude Van Damme films Bloodsport (1987) and Double Impact (1991).